Many employers are wondering what level of tolerance they should implement for cannabis use in the workplace. What do they do if an employee is impaired on the job? It’s important to recognize that just because marijuana is legal does not mean employees can be impaired in the workplace. Just like alcohol, it is not acceptable for an employee to be under the influence on company time, and this is very clear in the new laws. However, zero tolerance may not be the best route unless employers can absolutely prove that sobriety is a bona fide occupational requirement. Otherwise, a dismissed or disciplined employee could file a human rights or wrongful dismissal lawsuit — and they may win. Employers should check with their lawyers for a case-by-case analysis of tolerance levels. Some lawyers have recommended a “low-tolerance” policy: addressing the concern if and when it appears and only moving forward to dismissal when there is a repeat violation. Consider this: an employee goes out for lunch one day and has a couple of drinks before returning to work. If this becomes a regular occurrence and lowers performance, it may be necessary to have a conversation and move towards termination if the situation doesn’t change. However, the employee would likely not be immediately dismissed for a one-time occurrence. The same idea may be applicable to marijuana use. In addition, employers must consider the use of medical marijuana. Cannabis consumption with a prescription has been legal since 1999 for the treatment of various disorders and conditions. While medical marijuana in the workplace may not be new, employers must be careful not to discriminate against these users with new tolerance policies. They must accommodate medical marijuana to the point of “undue hardship”. Consider asking these employees what accommodations they need and what tasks they are able to perform, and make any necessary changes to their duties. In particular circumstances, employers do have the right to implement a zero-tolerance policy. In “safety sensitive” positions, such as those involving driving or the operation of heavy equipment, employees must be strictly sober for the protection of themselves and others. In these situations, employers can place a ban on cannabis consumption (similar to alcohol consumption) during work hours or in a designated time period before work begins. Once again, employers are required to accommodate medical users. For example, an employee could be transferred to a different role that is not safety sensitive. THC (the component of marijuana that makes a user impaired) stays in the body much longer than other substances such as alcohol. Its presence in the body does not necessarily mean that the user is currently impaired. The Charter of Rights and Freedoms would likely prevent any kind of random drug testing in the workplace from being lawful. This would be seen as an invasion of employees’ privacy rights. Drug testing is currently only permitted in very specific employment situations, where safety is a key issue or there are reasonable grounds (for example, if there has been an incident or there is a strong reason to believe the employee is under the influence). Until there are federal regulations in place to resolve these uncertainties, employers should be very cautious in implementing marijuana testing. In the meantime, they can use assessments of behavior and conduct in place of a hard test. If an employee is regularly underperforming and showing signs of impairment, it may be time to have a conversation. For a more in-depth discussion on drug testing in the workplace, check out this Huffington Post article. An employer should consider implementing new workplace policies to address the legalization of marijuana. After carefully constructing a tolerance policy considering all of the above factors, employers must ensure it is well-known. For example, employees could receive training on the new policy and marijuana use. The policy should also be displayed and distributed to each employee, perhaps through email. The tolerance policy must clearly define what is acceptable and what behaviors may be grounds for disciplinary action or dismissal. Doing so ensures the employer will have a strong defence if and when actions are necessary. Cannabis consumption must also be considered in other workplace policies, such as smoking in designated areas on company property and scent-free policies. Many members of Canadian society may stereotype marijuana users. These users are assumed to look and behave in a certain way. Now that recreational cannabis is legal, these ideas may become stronger. As an employer, be careful not to make assumptions about employees. 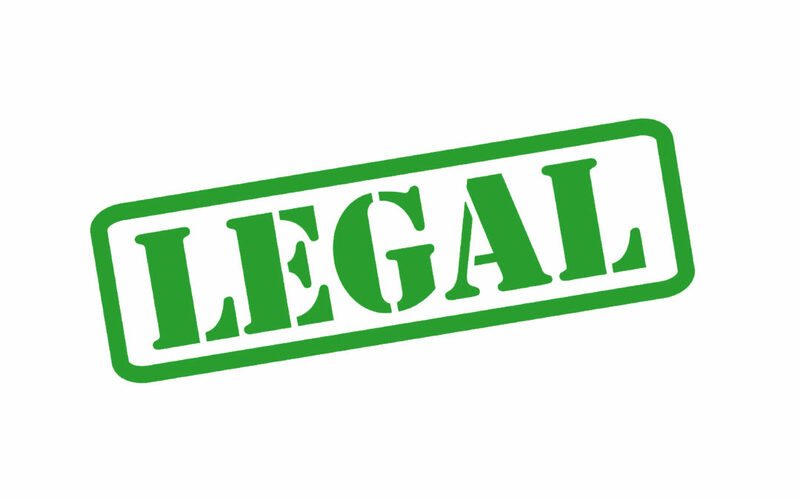 While some managers may not agree with marijuana usage, it is now legally permitted. This means employees cannot be judged on their personal choice as long as it doesn’t impact their ability to do their job. There won’t necessarily be any of the attendance or performance issues that employers fear. Take these situations on a case-by-case basis, similar to any other performance problem. In certain face-to-face professional settings, employee marijuana consumption may create reputational issues. In these circumstances, employers must carefully construct tolerance policies to find the balance between employees’ choices and customer opinions. Whenever new legislation comes in, organizations as well as the rest of society must go through an adjustment period. While adapting to marijuana legalization, employers should consult with lawyers before making policy decisions or changes. By carefully considering new policies and employee safety, employers are prepared to face the risks of cannabis legalization. Ideally, severe issues will not arise and employers can mainly continue as normal. But as in any risk situation, it always pays to be proactive.